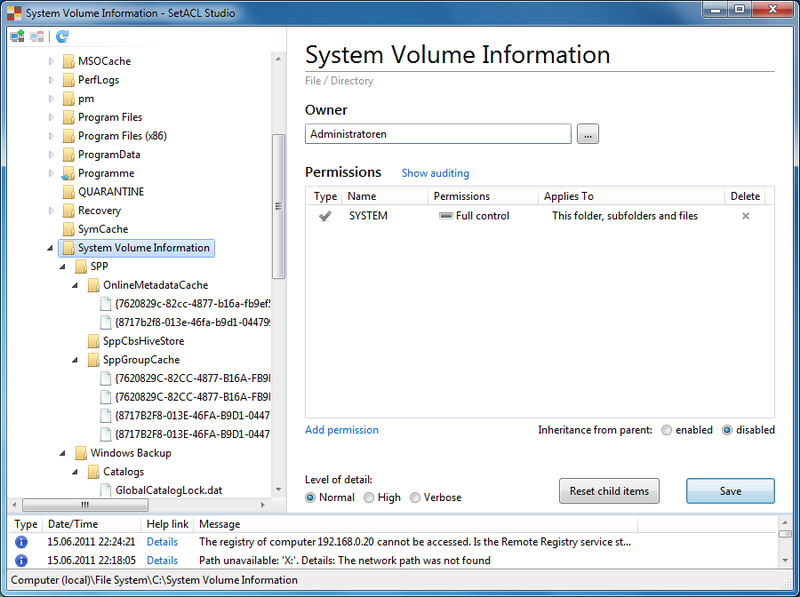 SetACL is well-known as a powerful and versatile tool for managing permissions in nearly all corners of the Windows operating system. In fact it is so powerful that the command-line options may be overwhelming at first. But, hey, power comes at a price, right? Wrong. While it is nearly impossible to pack tons of features into a command-line program without the command line becoming complex, the same is not true for GUI applications. You may notice that it shows you parts of the system that are normally inaccessible to mere mortals. 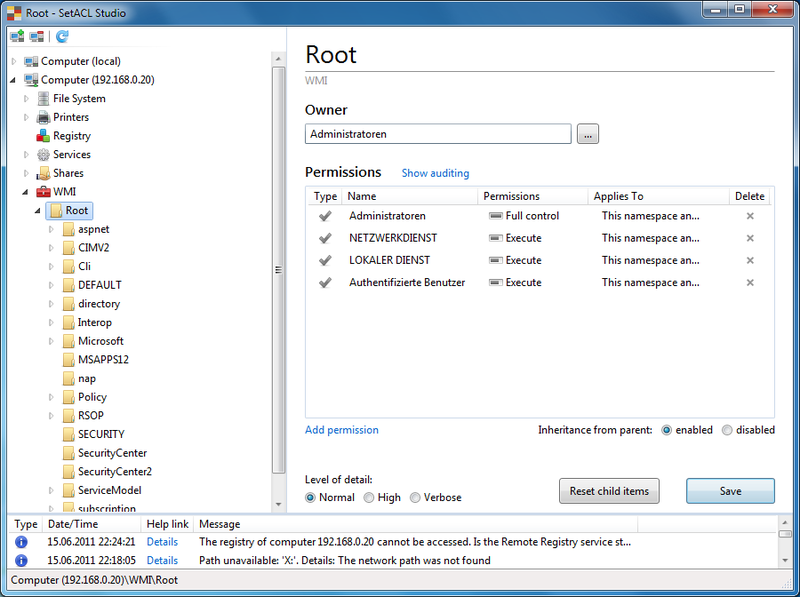 It also deals with very long file system paths, and it sets permissions on files, folders, registry keys, printers, shares, services and even WMI objects. But that is not even the best part. The best part is that all that power comes … in a friendly and extremely easy to use user interface. No need to click five times just to see the owner of an object. All the relevant data is on one page and can be modified with a single click. A beta version will be available soon. Check helgeklein.com/news for details. when will this be available to download it sounds like just what I have been searching for!!! can i get a beta release?? Expect a public beta in one month or so, and the final release not too long after that. this looks really fantastic :). I cannot wait to test this tool. With SetACL Studio, my primary goal is simplicity. Although eventually I am sure it will surpass the command line SetACL’s functionality for the initial version I am focusing on the user interface: making complicated things simple. For everything else please wait for the beta version. It´s a dream becoming true! Thank you very much! Looks like a really cool tool, looking forward to trying it. Many thanks for your efforts.